This set is called antipasto liguria because it takes inspiration from liguria, which is a region of Italy with the main part of territory overlooking the sea. From this particolar characteristic, olives takes their name Riviera, salted and full of taste. 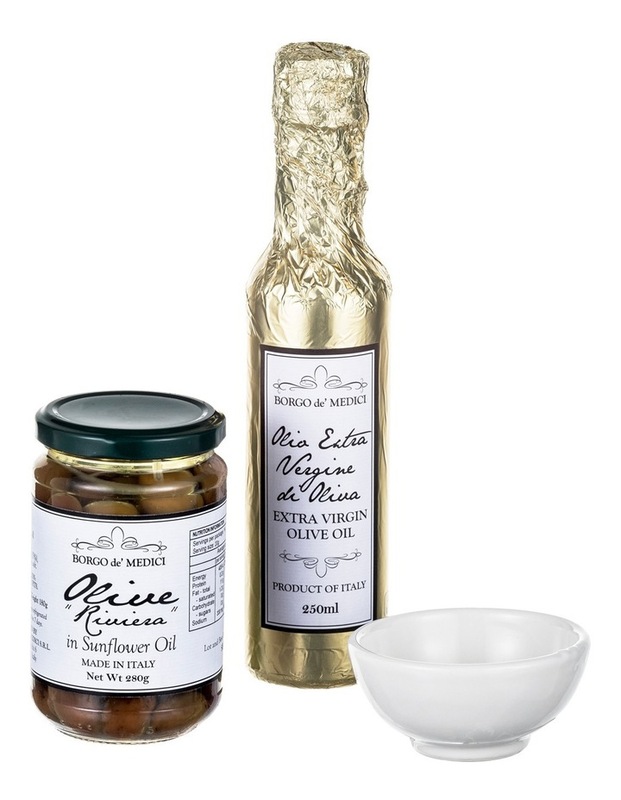 This gift is also composed by extra virgin olive oil, 100% Italian, which can be used for bruschetta, simply drizzled on bread, for pinzimonio (the use of fresh cut vegetables to be dipped into evoo with the addiction of salt and crushed black pepper) or for dressing dishes. 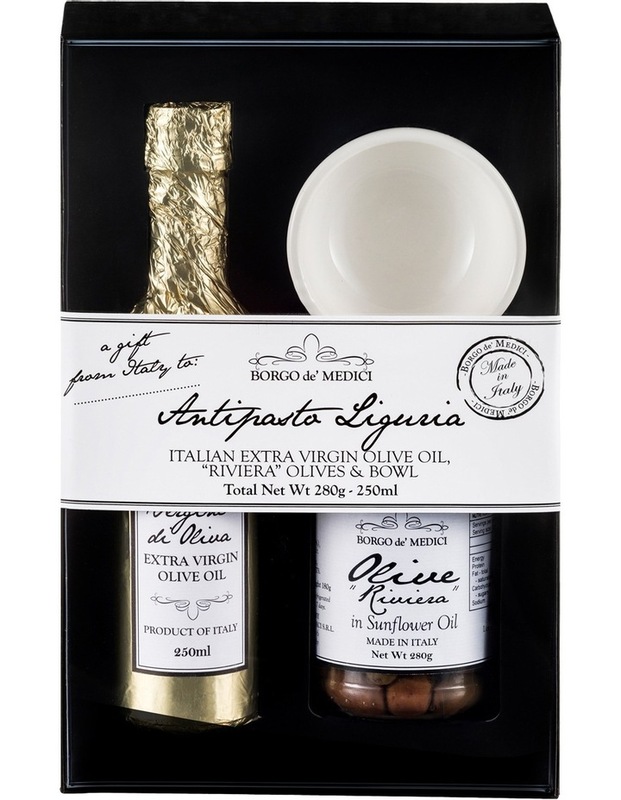 The distinctive aspect of Italian evoo is the one of having a rich and intense flavour, due to the fact that olives grow in a uncommon territory. 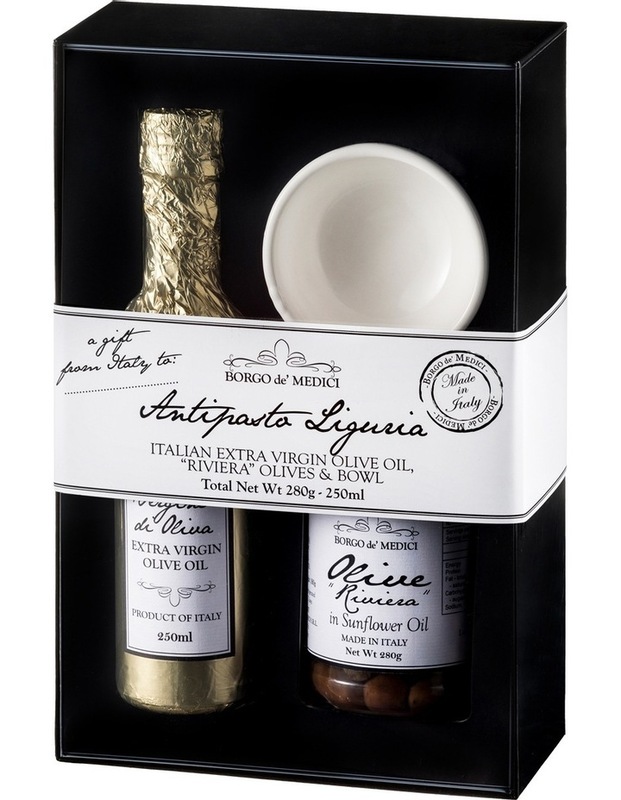 The ceramic bowl is artisanally made in Italy and can be used for both: serving olives or for filling it with evoo and use it for your pinzimonio.